S-2 Tool Steel, Rock Bit, Precision Balls are manufactured with ultimate ruggedness in mind. 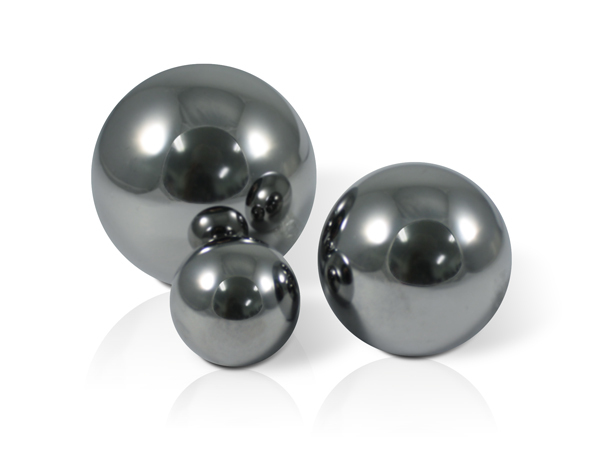 Utilizing the same steel commonly found in chisel ends and hammer heads, these balls provide the unparalleled resilience necessary for severe shock loads. The smooth ground and polished finish, in combination with high accuracy of diameter and concentricity, make this product ideally suited to the harsh demands of bearing assemblies in downhole drilling motor applications. Inventoried items will include a diverse array of sizes from 3/16” through to 2” in diameter, standardized on a Grade 100 quality. Our product offering can be tailored to meet your needs, with options to purchase in bulk by the box, individually, or combined with additional products in a custom assembled kit.